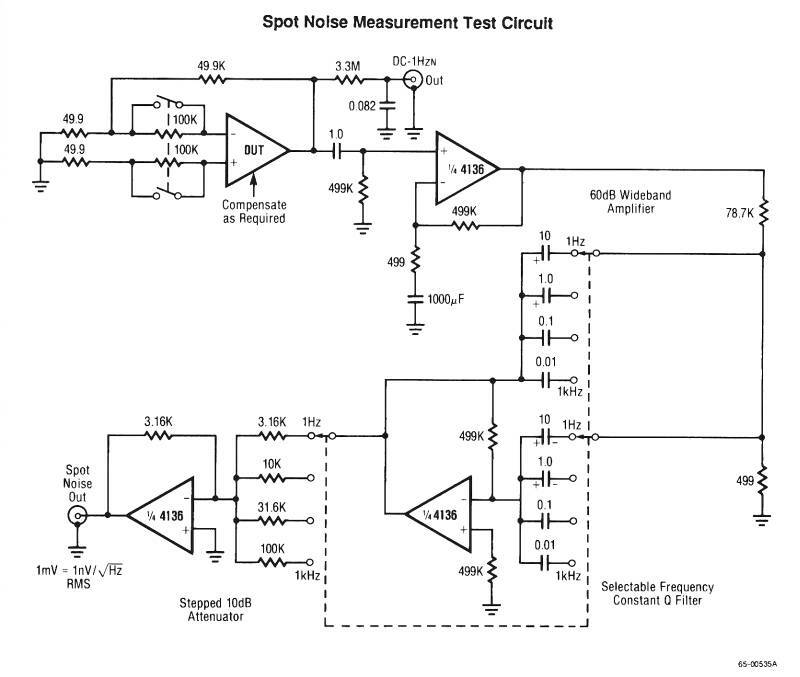 "Op Amp Spot Noise Measurement Test Circuit," Raytheon Linear Integrated Circuits, 1989. While spring cleaning and throwing out data books I scanned the Raytheon catalog to see if anything caught my eye. This circuit, an RC4136 application, measures op amp spot noise at 1 Hz, 10 Hz, 100 Hz and 1 kHz as well as DC to 1 Hz "wideband." While there are certainly more modern op amps than the 4136 that can be used, its still appears to be a very useful circuit.